Problem-Based Learning (see Fig. 1), but really, it’s all about steady improvement, irregardless of your teaching style. My personal preference is inquiry and complex task oriented groupwork 100% of the time (even if I fall short), but yours might be different. You can get better at it. You can improve it. Like to do inquiry learning? You can improve that. Like to utilize real-world tasks? You can get better at it. Like to use a textbook? There are ways of improving its use. Shoot, like to do worksheets? I know that’s allegedly a bad word but man, some of the worksheets – YES, WORKSHEETS – that Sam (@samjshah) and Jeff (@devaron3) have put together put most PrBL lessons to shame (or are included in PrBL-ish lessons!). Whatever you find compelling, you can get better at. And, you can mix-and-match, depending on the day/week/content area. I’ve always had a problem with instructional software and I think I’ve found the root cause: you can’t make it better or adjust it to your students’ interests or curiosities. Sure, you can adjust it according to their needs, most, like ALEKS, Cognitive Tutor, and Khan Academy can be adaptive to do that for you, but not according to students’ interest or curiosities. You can’t change on the fly. And districts spend so much on this software, or invest in so much PD in this software, that you, the teacher, kind of have to use it. Maybe this isn’t news to you but to me – who has had the pleasure of working with teachers who use such software expertly – it was an “aha” moment. I’m not suggesting these tools have no use. But that their use is quite limited by nature. ALEKS can determine and teach a lot of things about and to a student, but it can’t determine what the student finds compelling about math. And that’s kind of the whole ballgame. Absolutely agree – I’ve had issues with mathematics software for a long time, and you’ve helped me clarify why! Thanks. Your post made me think about what “getting better” might look like for each of the approaches you described. In other words, what would we look for in student activity that would be an indication that we (as teachers) were getting better? Are those indicators different with each “approach”? It seems to me like what we know about how people learn might help us decide what to look for in student activity and interaction without prescribing how that is to be accomplished. Often people talk about an “approach” but, as I’m sure you also see in your role, I often see people carry out the same approach in very different ways. 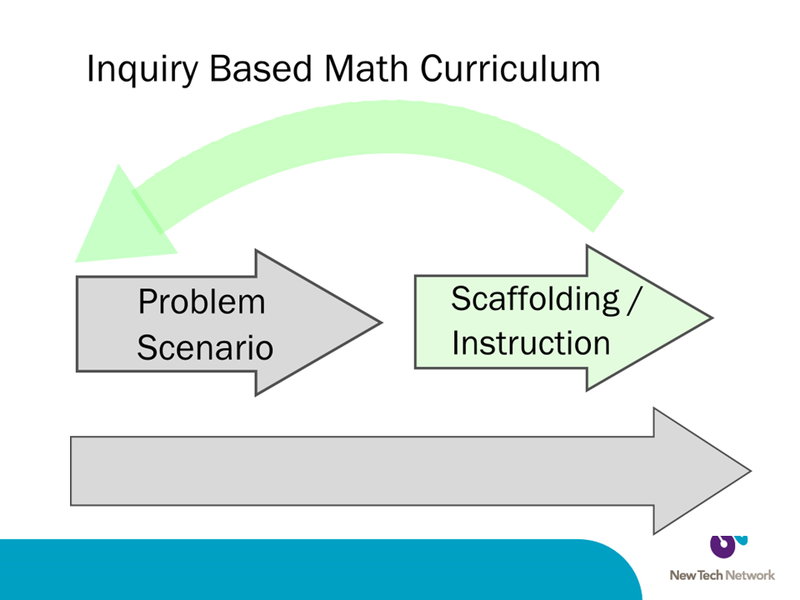 I would hope to see rich mathematical thinking and equitable interaction in every classroom…defining exactly what that might look like and how to get there is what makes teaching so intellectually challenging and fun, I think. Thanks, as always, for a thought-provoking post. Thanks Bryan. Yeah, I started out the post as more with the “getting better” theme rather than a screed against instructional software, but alas, that’s what happens when you free-write. I think it might be helpful for teachers to first define their instructional approach and then see how to get better at it. It could be as simple as a theory of action: “where are you now / where do you want to be / what are the steps you’ll take to get there / how will you know if you’ve succeeded”. The goal (for me, I wonder if it is for teachers) is a classroom ripe with mathematical discourse (written and verbal). I don’t particularly care what method teachers use to get there (except in the unique role of our schools, it’s hard to not be disruptive when you’re doing something different than the other teachers, i.e. not Project Based Learning). You can increase the mathematical discourse in almost any instructional approach..